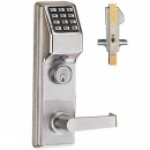 Function Options: ClassroomDeadbolt Classroom function – inside lever always free for exiting. Lock auto-locks when door closes. Key cylinder can also be used for unlocking/locking door. Deadbolt function – inside lever always free for exiting. Auto-locking with added deadbolt. Deadbolt may be projected by inside turn-piece, or from key cylinder. Handing: Left HandedRight Handed When on the outside (entry side) of the door looking in (facing the door – do not stand with your back to the door), the side of the door that the hinges are on will be the handing. When the hinges are on the right, then choose right-handed, when on the left, please choose left-handed. You don’t have to spend thousands on a new access control system. Not with this out-of-the-box ready, wire-free lock by Alarm Lock. This impressive keypad lock sells itself with all that it can do. It stops the hassles and maintenance costs of key control dead in their tracks. If you’ve been searching for an affordable system that will enable you to designate specific times that employees/managers are allowed access, track entries, and quickly delete users, look no further than this new industrial strength mortise push-button lock by Alarm Lock. It’s one thing you can cross off your wish list this year. Office buildings, Healthcare facilities, Colleges/Universities, Military installations, Retail, Pharmacy, Schools, Government buildings, and more! Heavy Duty, steelcase BHMA compliant mortise lock. 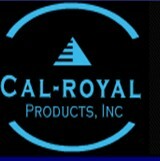 UL listed, FCC certified. Key override – your lock includes a 1 3/8″ long mortise cylinder from the manufacturer. (comes with 2 keys) All mortise cylinders are interchangeable so if you have a name brand one you want to use you can, or we sell name brand ones.